The Cambridge Urology Clinic was founded by three Consultant Urologists in order to make first class care, information and expert opinion easily accessible for the public and general practitioners, and for healthcare trusts and providers. Our consultants are all Addenbrooke’s urologists and experts in general urological conditions and suspected cancer in the urinary tract. 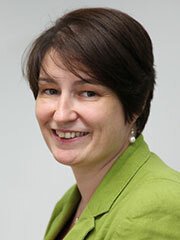 Each has particular areas of specialist expertise within the field of Urology. fulfill a range of other regional, national and international roles. The Cambridge Urology Clinic aims to offer excellence in Urology, tailored to meet the particular requirements of each of our patients, referring doctors and those who seek expert urological opinion. We assess our perfomance by continually gathering feedback from patients and ongoing clinical audit. Alex studied medicine at the University of Leicester before subsequently training in Urology in the East Midlands. She then headed to Toronto for two years to undertake further specialist training in urological oncology obtaining membership of the American Society of Urologic Oncology. She was appointed as a Consultant Urologist at Addenbrooke’s Hospital in Cambridge in 2011 and has a specialist interest in the treatment of bladder cancer. Along with Bill Turner and Ben Thomas, Alex is one of three members of the Bladder Oncology Team at Addenbrooke’s that specialises in the management of high-risk bladder cancer. This includes use of a number of non-surgical approaches (eg intravesical BCG therapy) as well as to radical surgery to remove the bladder and a full range of reconstructive urinary diversion techniques, including neobladder formation. Alex’s interest in the management of bladder cancer has seen her involvement as a committee member for both the 2012 International Consultation on Urological Diseases consultation on Bladder Cancer (http://www.icud.info/bladdercancer2nd.html) and also the NHS Shared Decision Making project creating a patient decision aid for patients with bladder cancer (http://sdm.rightcare.nhs.uk/pda). Alex is the current chair of the Addenbrooke’s Special Multidisciplinary team that meets on a weekly basis to discuss patients from the Anglia region who have recently been diagnosed with a urological cancer. She is also the lead for the Addenbrooke’s Haematuria clinic, a service that specialises in rapid assessment of patients who see blood in their urine. In addition to her interest in bladder cancer Alex maintains a general urology practice assessing and treating patients with a wide range of urological problems including difficulties urinating and urinary tract infections. Vincent’s interest in urology began in medical school. He trained in one of the premier units in the country (Newcastle upon Tyne) in this specialty. After graduating he became an anatomy instructor and surgical trainee in the Northern surgical rotation. During this time he developed a strong research interest in prostate cancer and completed a PhD in cancer biology in 2002. He then trained in both surgical and academic urology in the North East as a Specialist Registrar and Clinician Scientist. In 2007 he undertook a fellowship training in minimally invasive/robotic prostatectomy at St Joseph’s Hospital, Paris.. In 2008 Vincent took up his role as Consultant Urological Surgeon and University Lecturer in Cambridge. He currently combines clinical and academic work in the Department of Urology, Addenbrookes Hospital and the University of Cambridge. His current clinical practice includes all aspects of general urology as well as specialist work in prostatic diseases and prostate cancer. His major research interest is in the field of prostate cancer and in the translation of laboratory findings to clinical practice. He currently leads an active translational and clinical research programme in prostate cancer which is very closely linked to his urological practice. He has been chair and committee member for numerous regional and national committees and panels as well as leads the urology R&D trials team in Cambridge. Vincent believes that effective communication is essential to help ensure that patients get the best care and are well informed. This is particularly important when discussing the complexities of prostate cancer or indeed many other urological conditions. He offers clinical consultation in general urology and a specific service in prostate cancer diagnostics (image guided) and risk stratified management. He is the recipient of numerous prizes and awards including the Urological Research Society Prize, Hunterian Professorship of the Royal College of Surgeons, the CE Alken prize and a Health Enterprise East Innovation Award. He is also visiting Professor at Anglia Ruskin University. With medicine running in the family, Nikesh entered medical school at St. Bartholomew’s Hospital Medical College in London. Whilst at Bart’s Nikesh completed a BSc in Psychology. He then undertook basic surgical training at St. Bartholomew’s, the Royal London Hospital, Ipswich Hospital and Great Ormond Street Hospital, London. After a period of research at Great Ormond Street and the Institute of Urology, UCL, Nikesh was awarded an MD by the University of London for his investigation into the normal and abnormal developing bladder. Advanced urological training followed in Wessex, providing an excellent grounding in all aspects of general urology. Nikesh then enjoyed a very valuable year as Senior Fellow in Perth, Australia, gaining clinical and management experience, running a very busy urological service. 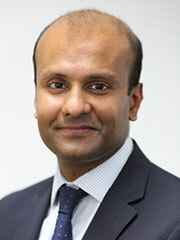 In his early years as a consultant, his expertise has been further developed through collaboration with leading units in London, Sheffield, and in Dallas and North Carolina, U.S.
At Addenbrookes Hospital, Cambridge Univeristy Hospitals NHS Trust, Nikesh is the clinical lead in his long-standing specialist area of interest, bladder dysfunction, incontinence, reconstruction and urethral stricture disease and has been Clinical Lead for Urology at Hinchingbrooke Hospital. Nikesh is audit lead and an elected committee member of the Female, Neurological and Urodynamic section of the British Association of Urology (http://www.baus.org.uk/Sections/female/) and invited member of the European Association of Urology sections of Female and Functional Urology (http://www.uroweb.org/sections/new-female-and-functional-urology-esffu/) and Young Academic Urologists. Nikesh has given invited lectures and been on faculty for international meetings including Leading Lights in Urology, Challenge the Experts, ESFFU section meetings and British Association of Urology and European Association of Urology Annual Meetings. Maintaining his interest in teaching, Nikesh has organised courses including the Cambridge Pelvic Floor Symposium and Update in Urodynamics meetings. Click here to listen to an interview with Nikesh outlining his plenary session lecture on Urinary Catheters at the European Association of Urology in Stockholm in 2014. A further interview with Nikesh discussing the new Urolift device for the treatment of male lower urinary tract symptoms can be viewed here. 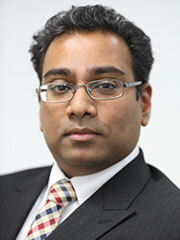 As an expert in incontinence and reconstruction, Nikesh has contributed to NICE consultations, NHS Horizon Scanning documents (http://www.hsc.nihr.ac.uk/diseases/new-and-emerging-technologies-for-urinary-and-faec/), NICE Eyes on Evidence (report available here) and Design for Dignity discussions. He has co-authored NHS England documents on improving continence care (https://www.england.nhs.uk/commissioning/home-2/continence/). He has contributed to the European Association of Urology Patient Information sheets (accessed here). He reviews articles for leading international urological journals and National Institute for Health Research and as principal investigator, runs a number of commercial and national research trials at Addenbrookes Hospital.